Suffering coughs, colds or flu this Winter? Living Health Group > Blog > Be Energised > Suffering coughs, colds or flu this Winter? Try adding these natural immune boosting nutrients to help boost your immune system this winter…..
are irritated by a hacking cough and a sore throat. Boosts immunity and alleviates illness by stimulating cells involved in the immune response. ideal for easing sore throats. Contains Anti-bacterial properties, helping to reduce the severity and duration of colds. cardiovascular disease and even skin wrinkling. infections by inhibiting the growth of many types of bacteria. excessive gas from the digestive system and soothing the intestinal track. The body also needs vitamin C to make collagen, a protein required to help wounds heal. immune system work properly to protect the body from disease. Zinc plays a role in immune function, protein synthesis (rebuilding tissues) and wound healing. Good sources of Zinc include meat, legumes, nuts and seeds. Turmeric can act as a natural anti – inflammatory in the body. vegetables or add it to smoothies. 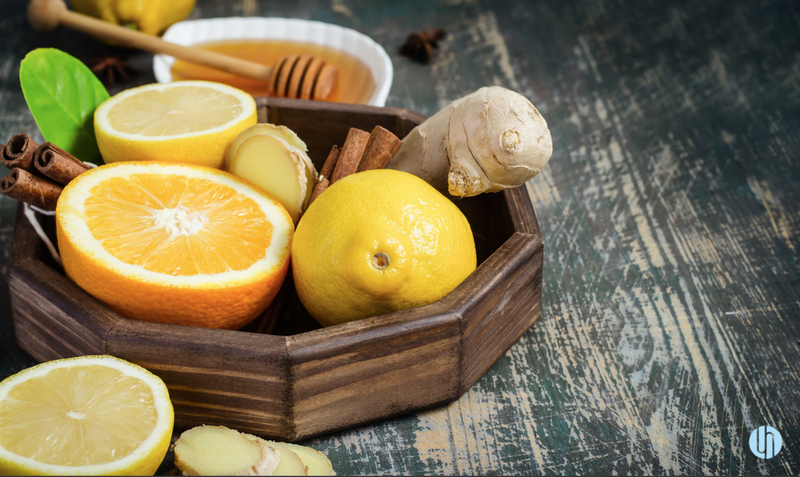 If you have been battling a cough, cold or flu this winter, try some of these natural immune boosting remedies to help boost your immune system. I am injured, Do I use heat or ice?